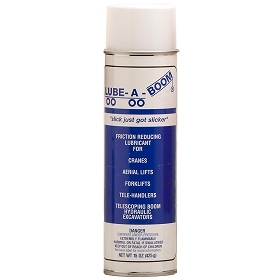 Home > Misc > Lubricants > Lube-A-Boom > Lube-A-Rope 16oz. 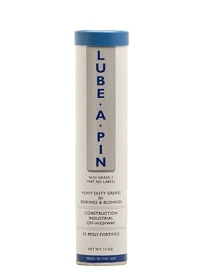 LUBE-A-ROPE™ Chain and Cable Lubricant is a thin lubricant that contains moly and graphite to provide maximum lubrication and protection. 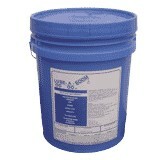 This product protects equipment against dust, dirt and water migration that often increase friction and lead to failures. 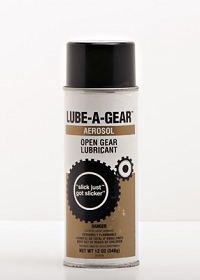 LUBE-A-ROPE™ Chain and Cable Lubricant will not fly off – it clings on and keeps working long after the initial application. It eliminates that cause of corrosion by forcing water out of assemblies. This product penetrates and acts as a corrosion inhibitor to provide long-lasting protection against saltwater immersion and atmospheric moisture. Applications include chains, sprockets, cables, wire ropes, marine maintenance, industrial maintenance, drive chains, hoist chains, automotive maintenance.